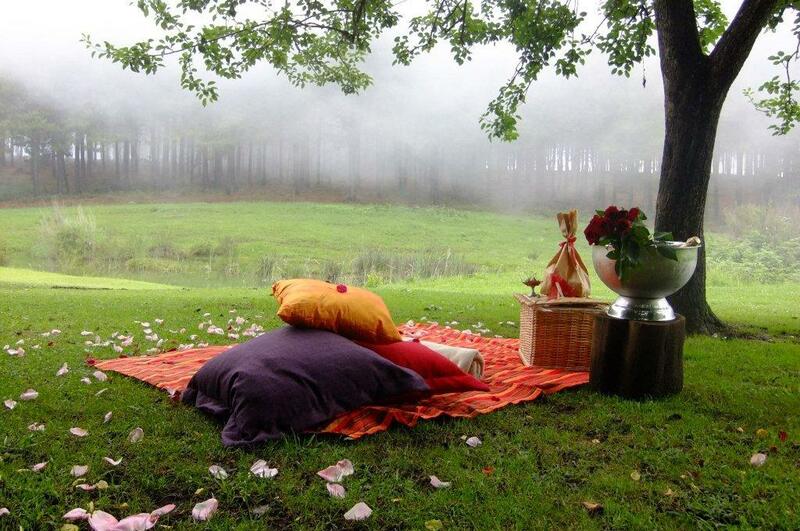 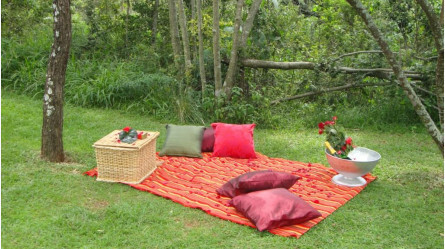 Treat yourself to a Banquet on a Blanket set up in a beautiful setting. 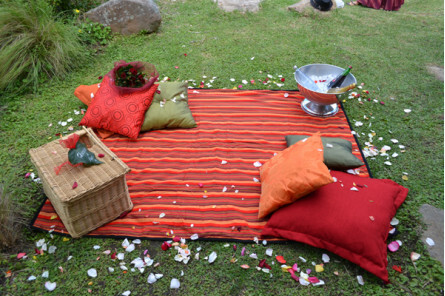 Your basket will be delivered & set up for you at a secluded spot complete with a Basket filled with Delicious Treats, Soft Blanket, Scatter Cushions, Rose petals & Soft Drinks on Ice and a bunch of roses. 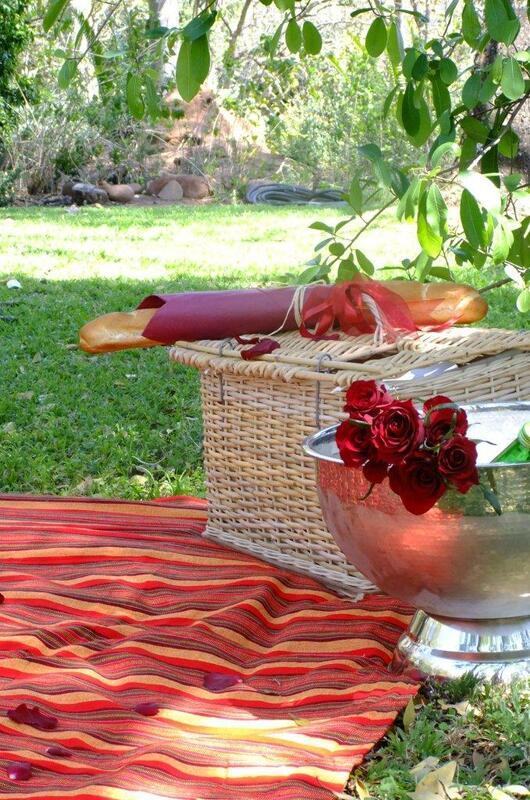 Menu ~ Crispy Baguette to be enjoyed with Butter, Smoked West Coast Snoek Pate & Tzatziki, Free Range Sticky Drumsticks, Savoury Quiche, Baby Potato salad with Herbed yoghurt dressing, 2 Cape Cheese Platter, Savoury Biscuits & Fruit Preserves, Seasonal Fruit Platter & Chocolate Brownie, Lindt Chocolate, Juice and Mineral Water.